Styled with lyon wool coat . 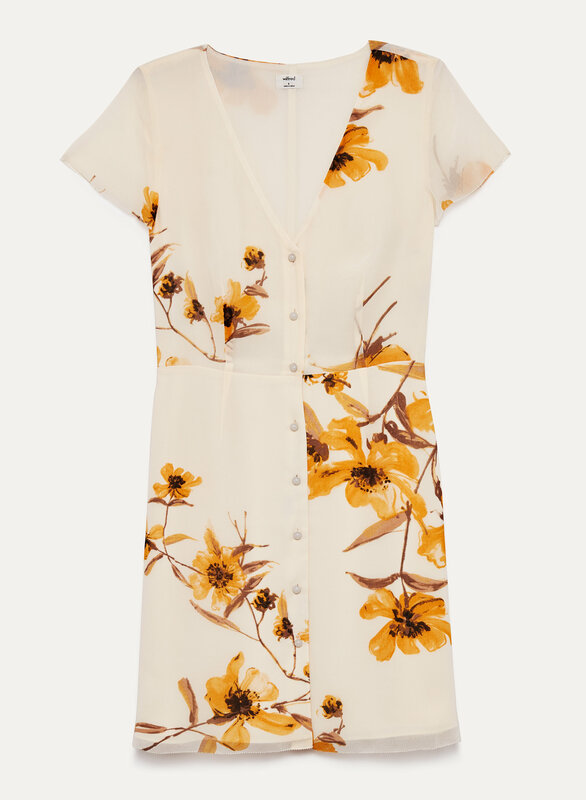 Lightweight chiffon and an exclusive floral pattern make this dreamy dress even sweeter. 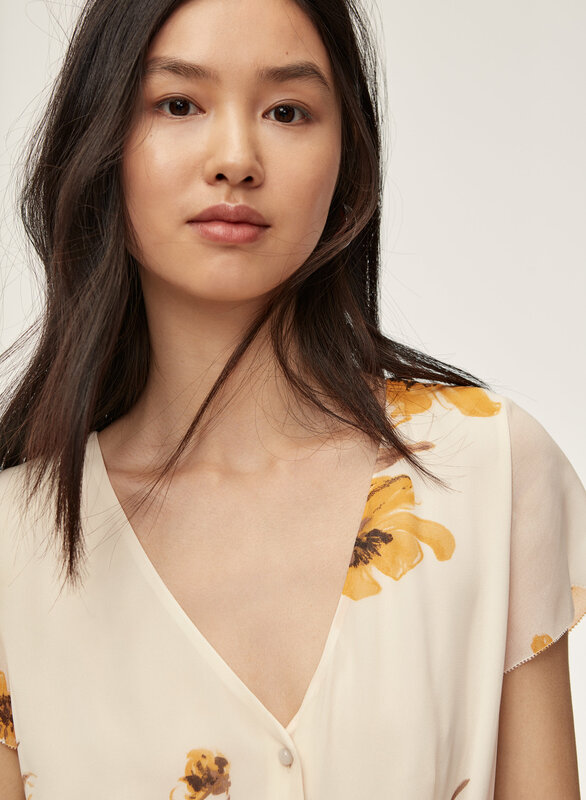 With a flounced sleeve and form-flattering fit, it might be your most versatile dress for the season. Absolutely love the dress. It’s very feminine and has a old feel to it but it would be better suited for smaller busts. I am a 34DD that my body fits a size 8 but I have to use a safety pin so the bust doesn’t bow out. 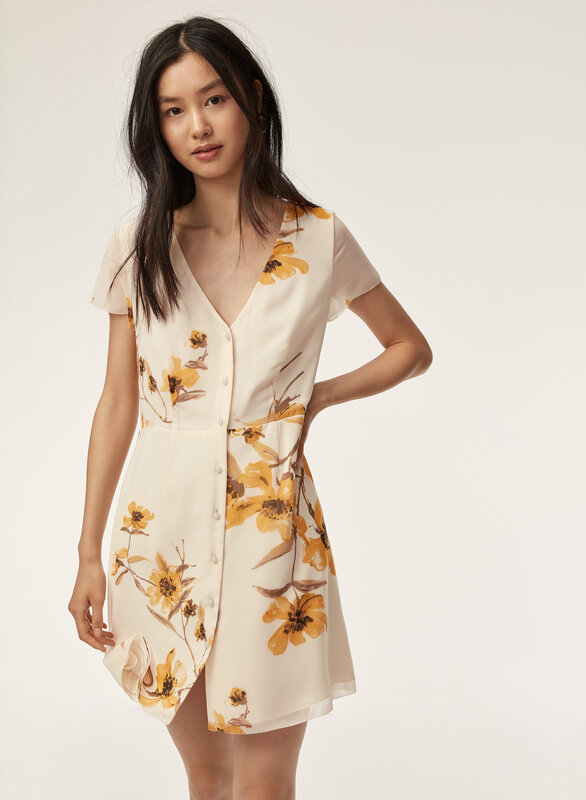 I've been eyeing the Nazaire Dress since it was released in Spring 2018(? ), but I didn't manage to snag one before it sold out. I was hesitant about the re-release colors/patterns, but I am SO GLAD I decided to make this purchase in the end. The dress is so beautiful, flowy, well tailored, and effortlessly feminine, and I've received several compliments on the dress already! I bought the dress in size 0 and am 5'3" 105 lbs and it fits perfectly. I really love the pattern of this dress. It’s beautiful and vibrant. I found the vneck goes pretty low and you can see my bra so wearing a tank solves that problem. It hits me right above the knee. And it’s beautiful with a little belt. On me... it’s much more fitted than pictured on the model.